Is cynicism warranted? Talk is cheap. The social changes that would help reduce depression and the support people seriously affected by it need aren’t. There are still many questions that need to be answered about how people develop depression and the best ways to help them, and how we can help ourselves. That needs investment in research. But, talking is important too. If we do not talk about depression and mental health it is impossible to have the debate about the changes that we need to make as a society and individuals. If we don’t talk about depression those of us affected by it can’t ask for help when we need it; or offer support and care to others when they do. If we don’t talk about depression we can’t educate people who aren’t affected. Talking about it more in daily life may help people to understand just how bloody hard it can be to talk about depression when you are in the middle of it! As our work on the Viewpoint Survey showed people who are affected by mental health problems still face significant stigma and prejudice. Talking about your own depression is not risk free. Understandably many of us choose not to. Society needs to invite us to talk. It needs to create a safe space to have the conversation. It needs to listen as well. How we talk about depression is important. 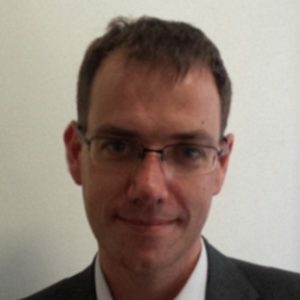 There are well founded concerns that an over-medicalised approach, explaining depression in-terms of it being an illness like any other, can do more harm than good (as well as not fitting with many people’s lived experience). Overly focusing on informal support such as talking to friends, exercise, and diet as ways to keep depression at bay may trivialise what can be a crippling condition. To be clear they can help. Our work on wellbeing and social networks demonstrates some of their power to help people stay well. Evan wrote movingly last year about using cycling for McPin in Ride London to help keep the “black dog” away. But I know that in some of my bleakest moments the well-meaning advice from friends to go out for a run to make myself feel better felt like an accusation that my depression was my fault because of my lifestyle. I needed time, medication and professional therapy, alongside support from my friends and my five a day. We should not deceive ourselves. Talking about depression can be hard given many of us have little practice in it. For friends and family it can be impossible to know what is the right thing to say. After all those of us who work in the mental health sector often get it wrong. That is why it is so important that people with experience of depression are involved in or lead the research into how we have these conversations. We should also not forget the impact that talking to somebody about their depression and pain can have on the other person to. Whether they are a professional or not. That is why we are supporting two PhD studentships examining how we can help people have some of the most difficult conversations around depression and psychological distress. Our studentship with Exeter University is looking at how GPs can sensitively explore suicidal thoughts and feelings with patients. Previous research has showed that often these conversations are difficult for both sides. Patients may be scared to ‘own up’ to having suicidal thoughts, and GPs hope they don’t because they feel ill-equipped to deal with them or fear talking about suicide may increase the risk to the patient. Our latest studentship with UCL and the ESRC is going to examine the support people receive from their social networks after being bereaved by suicide. There is strong evidence that being bereaved by suicide can have a significant impact on people’s mental health (beyond the effect of other forms of traumatic bereavement). We’ve worked with the National Suicide Prevention Alliance to develop tools for evaluating formal suicide bereavement support services. But many people will also turn to friends and family for support. This research will help develop resources aimed at supporting the friends and family of those bereaved by suicide to have those crucial conversations. 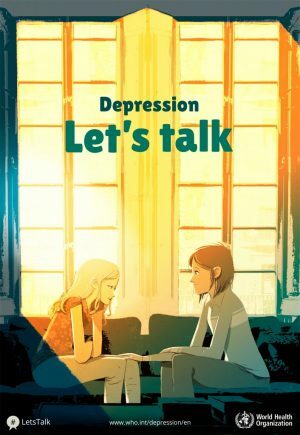 So we think it is great that the WHO are encouraging all of us to talk about depression. We want to use our research to make those conversations as helpful as possible.